All dogs have the potential to develop genetic health problems, just as all people have the potential to inherit a particular disease. The Siberian is generally healthy as a breed, but there are some concerns to be aware of. Possible inherited diseases include hip dysplasia, an orthopedic condition in which the head of the thigh bone doesn’t fit properly into the hip socket. Mild cases result in arthritis that may be manageable with medications and other therapies. More severe cases require surgery. Hip dysplasia is a terrible situation for a dog who loves to run and pull sleds. Siberians can also be affected by eye problems including juvenile cataracts, corneal dystrophy, and progressive retinal atrophy. Juvenile cataracts typically start forming before the dog is 2 years old. Cataracts are an opacity that forms in the lens and either clouds or blocks vision. Surgery can correct the problem. However, if the cataract isn’t causing pain or other medical issues, understand that most dogs, including Siberians, get around just fine when they’re blind. Corneal dystrophy involves a difference type of opacity, this time one that clouds the cornea, as opposed to cataracts that cloud the lens. Typically both eyes are affected. A Siberian can become blind depending on how much of the cornea is clouded. Progressive retinal atrophy (PRA) is an inherited disease of the retina that eventually leads to blindness. Because of the abundance/over-population of deer, deer ticks seem to be more common as carriers of Lyme’s disease. Having this done doesn’t hurt your Husky, but can further prevent unexpected health problems. Remember, when you first adopt a Husky, take him for his first vet visit within 30 days. This will provide you with a good baseline to measure your future visits against. Your vet should do the basic physical exam but also put your dog on a heartworm preventative. Also, you have the power to protect your Husky from one of the more common health problems: obesity. Keeping a Siberian at an appropriate weight is one of the easier ways to extend his life. Make the most of diet and exercise to help ensure a healthier dog for life. 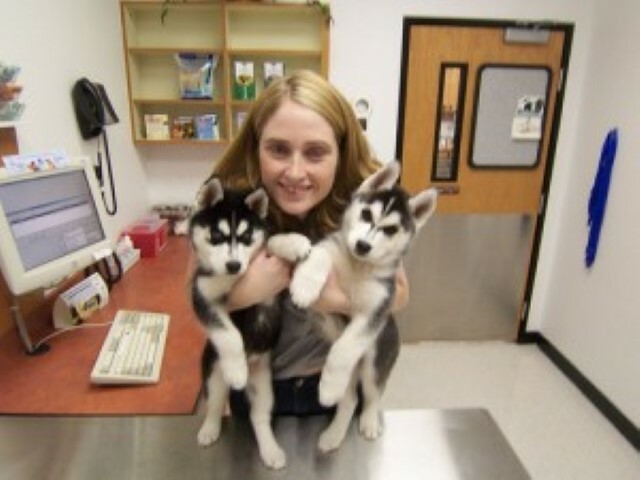 Siberian Husky Health by vetstreet retrieved from the web on April 25th, 2019.